I think it's a pretty good album. How do you guys feel about it? I like Juturna, but it's nothing ground-breaking. It's one of my favorite albums ever, hasn't left my car stereo in months. OLG will be much better. I hope it's just as amazing. 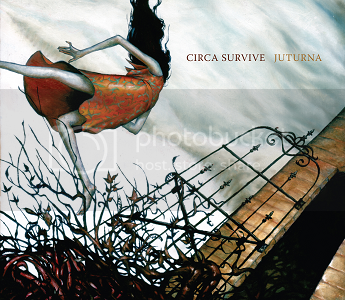 I listened to Juturna in its entirety for the first time in 6 months and fell inlove all over again. juturna changed my life as well, I CANT WAIT FOR ON LETTING GO! Srsly. If you guys think Juturna is good, OLG is gonna blow it out of the water. Exactly. The album will be more broad musically as well. Every track won't have the same feel, and the vocals won't have similar patterns all the way through. I let my bro listen to Juturna once, and he thought the vocals sounded the same in every song. Everybody who hears Juturna for the first couple times thinks the same thing. The album will be more broad musically as well. I read: This album will be a broadway musical. It made me EL oh EL! This album is going to be a lot more them. It's amazing. I just hope OLG is as good. I love the cover art for Juturna so much, though, I think OLG's cover is a little... Too plain. But it's still great, I love the fire. But the whole way with the Juturna cover and how the drawing was slanted and the girl looked like somebody (probably somebody bad) was pushing her to the ground was just really cool. OLG is more... Mello. I think if there was anything else added to the OLG artwork I wouldn't like it as much. Amazing album. This is why I am here. just like others have said...juturna changed my life.